Cave Crickets can become a pest in and around the home. Most pests want to live where people live, but these crickets are different. They love dark, damp, cave-like settings where they can hide and breed. These environments must provide both water and food. 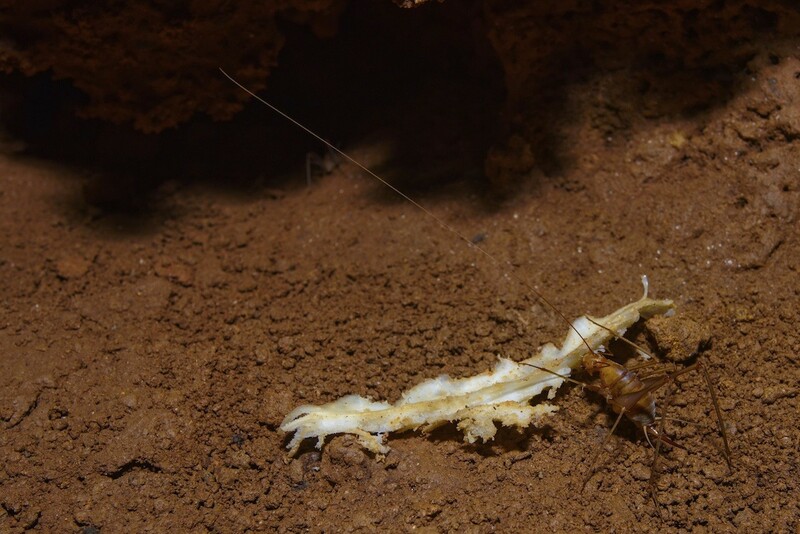 Cave crickets can live in a home for long periods of time without residents knowing. As their population increases, some will get into living areas. This will prompt the homeowner to treat. Before we discuss methods of cave cricket control, it is important that you understand some basic biology of this pest. Cave crickets appear throughout most of the United States. They will move into areas around the home taking up residence under porches and sheds. They love moisture and darkness. Such areas produce fungus and mold – both of which can feed this species of cricket. In addition to mold and fungus, cave crickets will feed on fabric. This becomes a problem in the home since migrating crickets can cause substantial damage if left unchecked. Cave crickets will also eat dead bugs, vegetation, moss and algae. They’re quite comfortable in crawl spaces and like their cousins the field and mole cricket, cave crickets will can nest in the ground. Once cave crickets are established around the home, they will readily move inside for shelter from the hot summer heat. Crawl spaces and basements provide excellent nest sights. If you are finding some in your basement, treat early. It is easier to get control of this cricket before it is established. If you have a home with a crawl space, it is important that you check it periodically. Such inspections may reveal pest problems and if you find crickets during an inspection, treat as soon as possible. Since cave crickets reproduce quickly, it is wise to get rid of them before populations swell. If the population is large, expect to have them migrating out of the crawl space and into living areas of the home. This is disconcerting to residents since this cricket is unusual to look at. It is almost hairy looking with all it’s antennae. Since it grows large, many people are surprised at just how big they are. Another unique feature of this cricket is that they jump randomly and are more likely to jump at you than away from you. It is believed this is due to how they see. Their vision is such that it appears to them they are moving away from it’s predator but in fact they are moving towards it. Scientists speculate this has led the species to appear to be attacking which in turn chases away would-be predators. Whatever the reason they move this way, keep in mind they cannot bite or sting. Still, having a large unusual insect jumping at you will probably feel disconcerting. Another problem with letting cave cricket populations go unchecked is that they can cause a lot of damage to fabric. They love to eat both synthetic and man made material including rugs, furniture, books, canvas, clothing, boxes, linen, drapery, and just about anything we have in our living area. This can lead to damage which looks like some type of moth. Because this cricket is large and meaty, mice and rats are fond of them. Many times rats and mice will take advantage of cave cricket populations which are active in your home. This could lead to rat and mouse infestations as well and will require more even pest control! Because of the problems associated with letting cave crickets live in your home, it is wise to take action to stop such infestations. If you think some are getting into living areas because you have seen droppings, damaged fabric or the crickets themselves, set out some GLUE TRAP MONITORS. These come flat as pictured below but can be folded up into a triangle which will provide the type of shelter cave crickets like. And there is a scent built into the glue on this board crickets seem to love so they’ll readily enter and get caught. Set them along baseboards, under furniture and in any closet or room with activity. They’ll last 2-3 months but should be discarded and replaced if they fill up sooner. Killing cave crickets is actually pretty easy. The key is attacking them where they want to live. Since they start from the outside, its recommended that you start with outside populations. The best way to proceed is with FENVASTAR EC. This is a low odor material which mixes with water. Simply spray foundation walls, around windows, around doorways and under decks or sheds. You should treat at least a 5 foot wide band but 10 feet would be better. Mix .4 to .8 oz of Fenvastar per gallon of water and expect to use 2-3 gallons of mixed material around the homes exterior for your initial application. Any other structure close to the home which may be harboring crickets should be treated thoroughly as well. By controlling them outside, you will be stopping the migration into your home. This will ultimately prevent re-infestation. 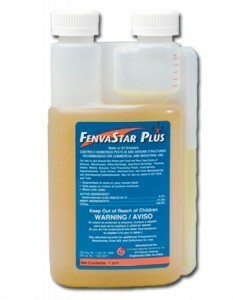 Use 1-2 gallons of mixed Fenvastar every month to get rid of the problem; treat every 2-3 months to make sure they don’t return. And be sure to use a good PUMP SPRAYER when treating. It needs to have a wide swath nozzle capable of applying even sprays for blanketing coverage. If you have them inside the home, it will take more than just perimeter treating the outside of the house to control the inside population. Ignoring them won’t work; allowing them to continually reproduce and nest in certain areas of the home will essentially mean there will be a constant supply of new ones. Though the use of glue traps (listed above) can help, they won’t control an established local reproduction. But for mild or light infestations where you have access to crawl spaces or basements where the crickets are reproducing, you can apply NIBAN FG bait. This “wheat germ” like granule is easy to apply and can be used safely inside living areas as well as in crawl spaces or basements. 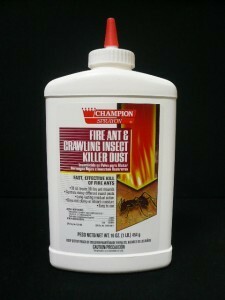 Crickets love this product and will readily feed on it. A 1 pound bag can cover up to 500 sq/ft and will last 2-3 months even in harsh damp environments. Foraging cave crickets will find the bait, feed and die within a few days. Niban is well suited for use under furniture, closets, crawl spaces, basements and any place where they may be hiding or nesting. For voids and hard to reach spaces, use a BAIT APPLICATOR for precise treatments. It will enable you to get the bait applied properly without making a mess which is helpful when using it in living areas. It comes with a curved tip which sits on top of a 7″ extension for extended reach. If you have crawl spaces or basements where nesting is thought to be a problem, apply Niban there too. This can be done by simply sprinkling the product from the container. But if you don’t have complete access to the entire space, apply it with a DUSTIN MIZER. This hand powered device will propel the Niban up to 20 feet and will let you treat hard to reach areas where cave crickets might be hiding. When using Niban, treatments will last 1-3 months depending on the level of infestation. Severe populations will require more frequent treatments initially until the cricket population subsides. And finished basements can harbor these crickets too so don’t neglect this important part of the home. Use the Bait Applicator to apply the Niban behind wall voids, inside electric outlets and into drop ceilings. These are classic problem areas and hard to reach by sprinkling bait but crickets will be using the spaces so they need treatment. By direct baiting each space you find, you’ll be getting to where the crickets are living and reproducing. Try to get some treatment behind walls as well. Your efforts will pay off by allowing the bait to affect more crickets quicker. When combined with outside treatments of Conquer, you will be able to control existing populations as well as keep new ones from coming back. For severe infestations or if you want quicker results, a more aggressive approach is suggested. Although baiting cave crickets will work when populations are small and you’re okay waiting for the bait to kick in and take effect, treating with dusts and sprays inside will yield quicker and more thorough results. For homeowners with infested crawl spaces and/or basements, this may prove to be the best method of treatment. This is particularly true when infestations have found their way behind finished walls of basements. Although baiting will provide some relief and ultimately erradication, this could take a few months. Alternatively, direct treating with DELTAMETHRIN DUST will prove to work faster and yield more thorough results in just a week or two. Deltamethrin dust will flush them out because it will irritate them so you might see some coming out into the open following the initial application. But they’ll be dying within a few days so in the end, the results are faster and more acute. The same is true for crawl spaces. Unlike the Niban, Deltamethrin Dust will last 6 months or more. And it works so much faster. Use 1 lb for every 1500 sq/ft. Use the DUSTIN MIZER shown above for treating crawl spaces. For living areas, get the CENTRO HAND DUSTER. Use it to apply the dust around baseboards, under switch plate covers, inside electric outlets and all moldings where you suspect they are entering. You can also puff some up into drop ceilings. Most finished basements have access to areas behind finished walls so look for these “ports” to be used for dusting. You may also find the areas reachable from drop ceilings. Since the treatment will last 6-12 months, it will provide the longest control overall. This is important if you have a lot of breeding happening behind the walls. Crickets are a common problem around the home and yard. 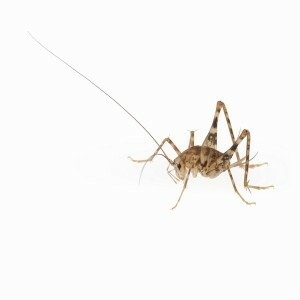 Camelback crickets will almost always infest crawl spaces or basements if left to do as they please. Once activity is noted outside the home, treat with Conquer to keep them out. If they have already gotten inside, bait with Niban for small infestations. Heavily infested areas should be aggressively treated with Deltamethrin Dust for the quickest and longest protection from future infestations. You don’t mention anything about the products being animal friendly. I have a cat. She gets some of them but not all. HELP!! You don’t see anything about our products being safe for use around people and pets because it goes without saying. Let me explain..
At this point in time, our Federal government requires any pesticide we sell to go through rigorous testing to confirm the product can be safely used where people and pets will be active. So for anything that includes labeling for use in the home, it must not pose a hazard to any potential resident and that list includes pets. If there is any “blip” on the radar that something might be a problem, registration will not be allowed no matter how many millions of dollars the manufacturer is willing to spend. In fact nothing we sell poses a hazard to people or pets unless you were to do something extreme like drink some of the concentrate. Like bleach or ammonia, you would no doubt have some issues. But once anything we have is diluted, it loses the ability to be acutely toxic and once applied in the environment, it will be dispersed so finely that there is nothing significant enough to pose a direct hazard to people or pets. 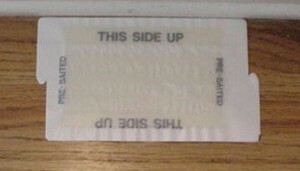 The same is true for products labeled for use outside the home. And if anything we do sell was to be found potentially hazardous once used in the “real world”, it would immediately be taken off the market like certain medicines or automobiles that have faulty systems and need to be recalled. Furthermore, its important to understand that pesticides were in fact created for one main goal: to protect people and the environment from destructive insects! In this case the insect can be “destructive” but for the most part, cave crickets don’t do a lot of damage inside living areas because most people treat well before that happens. But they are crickets and they will eat a wide range of paper products and fabric so they can do damage. But in general, most people treat for this pest because they don’t like seeing them and this can be done safely and effectively using the products we have listed in our article above. Give us a call if you still have questions.